You've heard the oceans are filled with discarded plastic. And you've felt the guilt from unspooling a big length or plastic wrap only to discard it the next day. Fortunately a delightful solution is available. 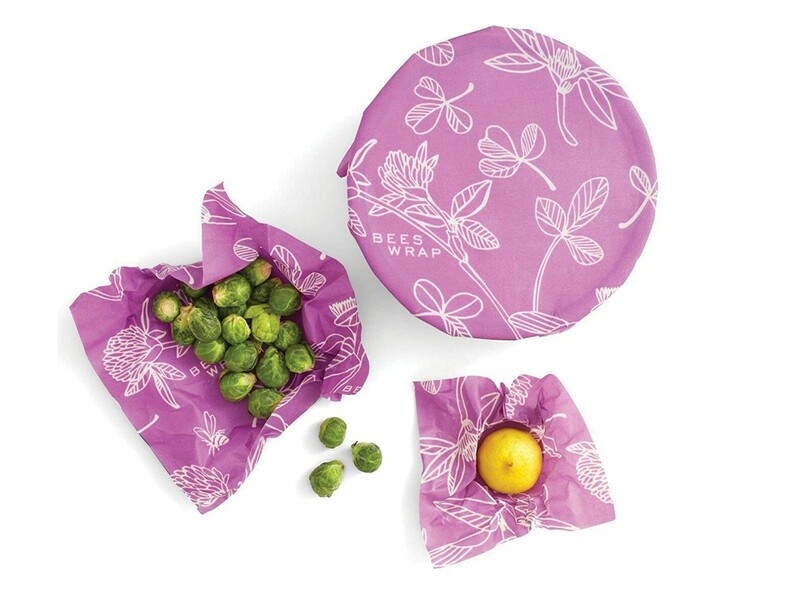 Bee's Wrap food savers are crafted from colorfully printed organic cotton that's sealed with beeswax, organic jojoba oil and tree resin. Warmth from your hands helps secure the wrap around most containers and almost any type of food (except meat); the beeswax and jojoba oil have antibacterial properties to keep things safe. After use, the wrap can be washed in cool water with mild soap. Rectangular wrappers in the small size are prefect for a lemon or snack; medium size can cover a bowl or encase a hunk of cheese, while the large size wraps can hold fresh greens or cover the top of a half-melon. There's even a long skinny baguette wrap and a square sandwich wrap. With proper care, the wraps will last a year. Available in Spokane at the Rocket Market and Natural Grocers; find more at beeswrap.com.